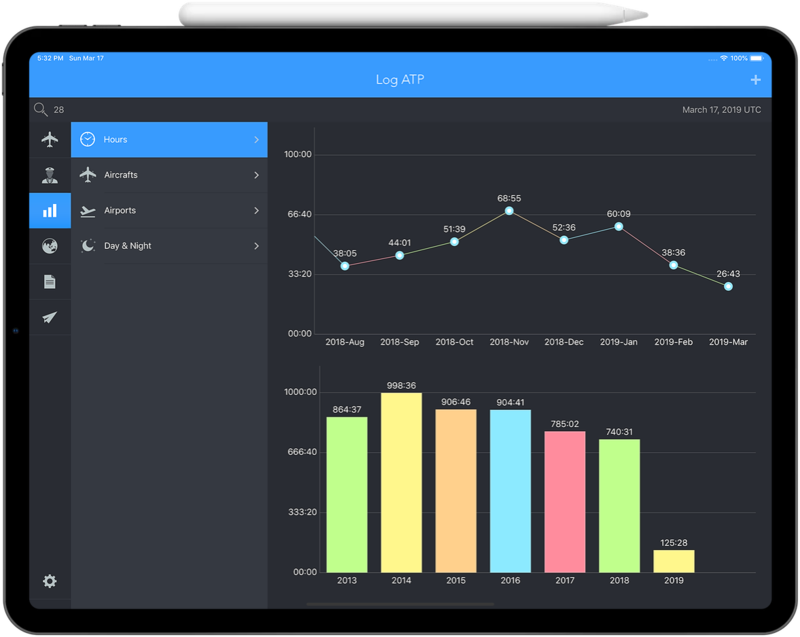 Log ATP app allows you to save your flight logs digitally and never lose your data again! Using state of the art interface design and latest technology to ensure the best user experience with the app. The server is built on AWS known for its security and lightning performance. All your flight logs are saved both locally on your device and the server, you won't lose your data again. Total flight hours, number of flights, takeoffs and landings from a quick glance. Graphical analysis for your flights, include total hours for every month and year, number of airports visited, total visits of an airport...etc. 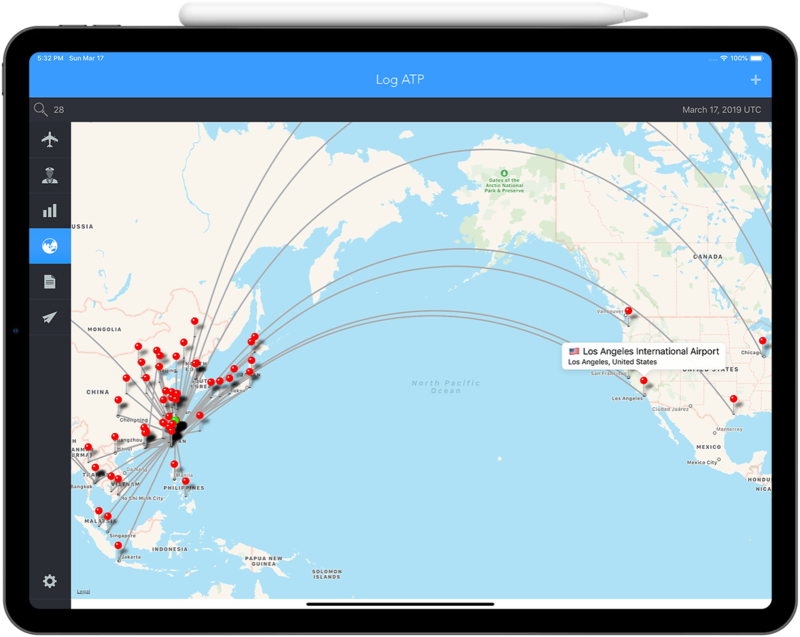 The app provides the map view for the routes you have flown, each route is connected with a great circle. You will be able to export your logs to different logbook styles in PDF format.